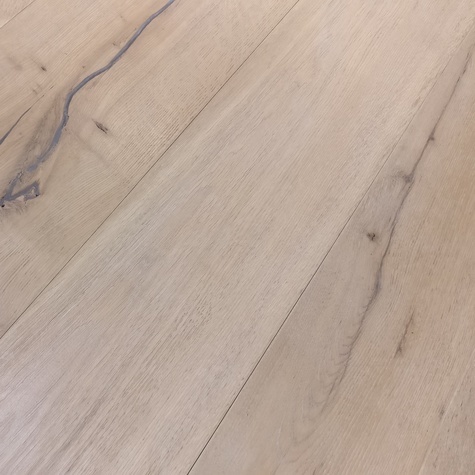 The imploring character of this rustic country Smoked White oak floor has been added to by the wide planks which are 190mm wide and 1900m long plank format. 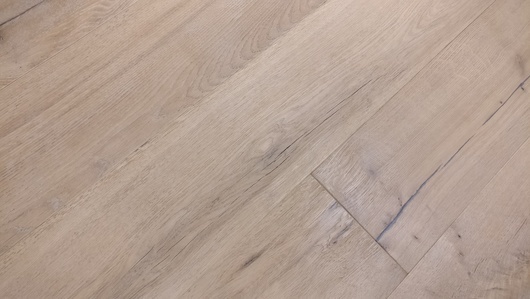 The 6mm sandable veneer provides the same lifespan as solid wood flooring, while the engineered construction assures notable stability. 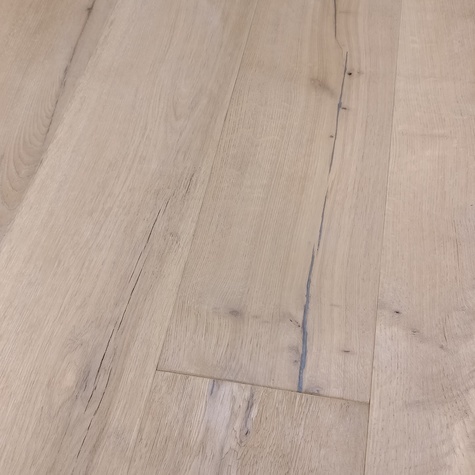 With the same high durability and displaying the same range of knots and cracks as our classic grade oak flooring, the distressed solid oak flooring boards appear "scorch", as though recovering from a dilapidated, condemned building. 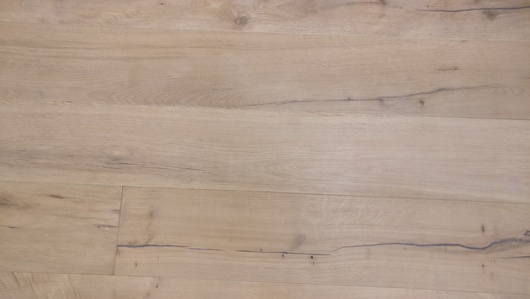 Combined with a brushed surface texture, these boards provide a truly aged feel. 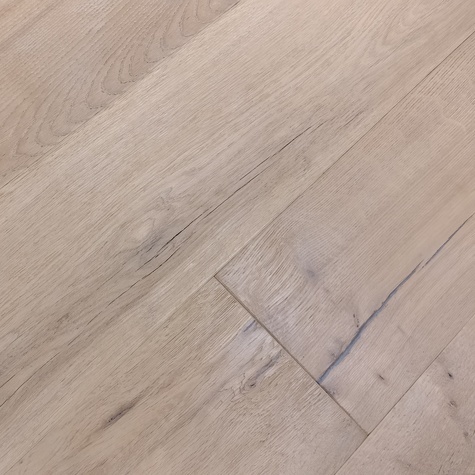 Classic grade allows for small to medium size knots, variations in wood grain and color, splits and mineral streaks for the most natural look.